Breathe A Little Easier Without Bugs! You can’t kill bedbugs easily with bug spray. You need a stronger more professional solution. Nest Pest Control kills bed bugs in Laurel by heat and suffocation. It sounds brutal, but have you ever been feasted on by bed bugs? You only need to treat every 5-10 years when you get Nest Pest Control’s termite treatment. No tent, no fog and no termites is our promise to you when you need to control for termites. Rats and mice are rampant in Laurel. Not any worse than anywhere else, but still, they bring disease, they eat your food and can sometimes be pretty scary. We’ll take care of your rodent problem so you can rest easy. Flying insects can become a nuisance and even a health threat. If they are regular honeybees, we try to remove them to a beekeeper. Wasps, hornets and killer bees are destroyed quickly, though, as they can be dangerous. The Eastern United States has a lot of cockroaches. Laurel, MD is no exception. Whether they are large or small, crawling or flying, these critters need to be terminated and we are the ones to do it for you. Got arachnophobia? We kill spiders and keep them away from your home well into the future, too. Call us today to sleep better tonight. When the weather gets warm, mosquitoes come out to play. Out here in the wetlands between the coast of Baltimore and the swamps of DC they get really bad. We make your summer better. Whether you are a commercial property, a homeowner or a landlord, we can schedule regular pest maintenance services. We Are Open 24/7 & Respond Quickly. We strive to provide pest control to each of our customers on the same day whenever possible. 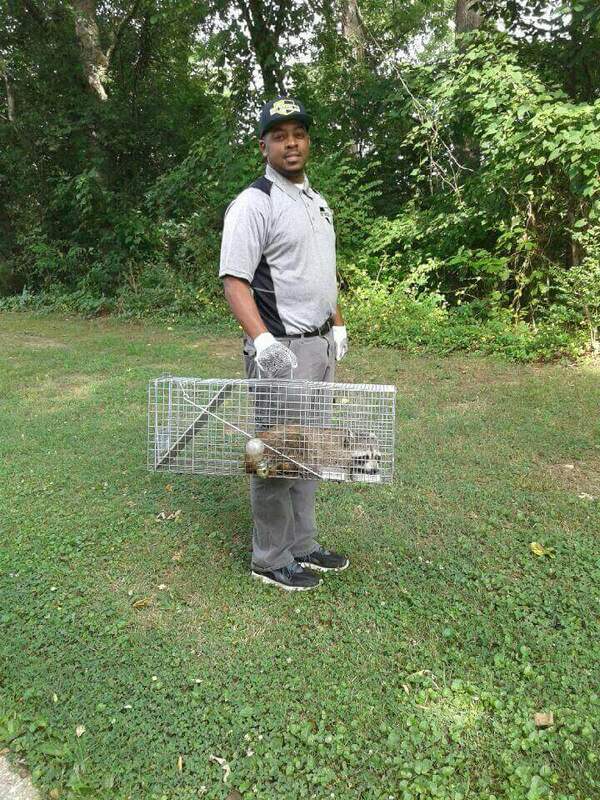 I have been providing pest control services for more than 12 years! I answer almost every call. Send A Message & We’ll Call You Back! Do You Have Any Pest Control Service Questions? Do you have disgusting cockroaches, spiders or silverfish? Nest Pest Control takes care to eliminate these pests and prevent them from coming back. Do you might have a bee’s nest that needs to be removed. We make sure to remove honeybees, when possible, and destroy other flying pests and their nests. We exterminate bed bugs over the course of at least 2 treatments. We literally suffocate and cook them to destroy them. Are You Looking For Termite Control? I’m James, the owner of Nest Pest Control. I’m here to help you. Everyone starts somewhere, and for me it was a dozen years or so ago when my buddy and I needed to make some money. We looked at different business options available and we decided to get into pest control. It was a great way to talk directly to our customers as well as do a service that people actually need! All these years later and I love doing pest control! When it comes to exterminating pests at your home or business, I want you to be completely happy with my service. That means we come back to make sure the treatments were effective, repeating the treatment if not. And we aren’t done till you are satisfied. You can always reach me, too, just pick up the phone and call (301) 329-4338 and I’ll answer! That way you can always go straight to the “top”! Rely On Nest Pest Control. Because You Really Can. We have over a dozen years’ experience exterminating pests in Maryland. We specialize in getting rid of bed bugs, roaches & termites. We will give you a free estimate of what it should cost to get rid of any pests you may have at your home. Termite inspections do cost, though. However, we will do a custom check to make sure we tackle all pest problems that might be facing your home. There are a few things you need to look for when you are choosing pest control services in Laurel. These are some of the things that help to set me apart from the other options you have. There is no “run of the mill” skimping on customer service here. Instead we make sure your treatments are excellent. We are a company we want you to be completely satisfied with. 4 More Reasons To Choose Us. We can’t wait to talk about your pest control needs in Laurel! We serve the surrounding area, including North, South and West Laurel, Burtonsville, Down to Hyattsville and all of Columbia. What Kind Of Bugs Do You Kill? Do You Offer Wildlife Control? What Does Nest Pest Control cost? Cockroaches, silverfish, flees, ants, bees, wasps, hornets, spiders, termites, beetles, earwigs and more. We also eliminate mice and rats and control other rodents like squirrels, beavers (we do NOT destroy dams, though. We can connect you with someone who can), muskrats, raccoons, snakes and other small animals.